Log into a Thin Client (Samsung) machine or an LISD desktop computer. 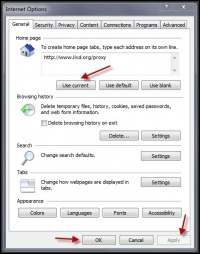 Type http://www.lisd.org/proxy in the Address bar and press Enter. Click on your campus name. 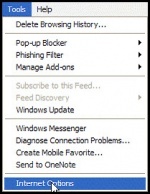 Under the General tab in the Home Page section, click on the Use Current button. At the bottom of the page click APPLY and then OK.
Close Internet Explorer and reopen to check your home page.